What else is included in this release? Each time Android releases a new version, it’s something sweet. The creative idea to name Android versions in alphabetical order after snacks continued this year as well, when it was the letter O’s turn. The honor went to the popular Oreo cookie. Android Oreo is the official name for the eighth version of Android. Release date of Android 8.0 was August 21 of this year. Owners of Nexus and Pixel devices are already able to enjoy the new Android version, so now they are busy checking latest news about Android 8. If you have a flagship device by Samsung, Lenovo, or another maker, you’ll probably have to wait a few months, but this article will help you anticipate all the new features even more. This sweet Android version promises to be faster and smarter than previous ones. We decided to complete our review with the opinions of those who can give the best judgment on this update – our Android developers at Mobindustry. We asked them a bunch of questions and they shared their opinions on the new Android Oreo features. But before we hear their expert opinions on Android 8.0 Oreo, let’s review its new features and changes. What’s new in Android 8.0 Oreo? 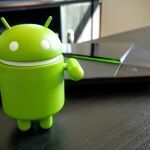 One of the biggest problems with Android has long been its generosity in granting apps the right to do anything they want in their background services. On the one hand, this has led to really powerful apps, but on the other hand it caused UI freezes to become more and more frequent and the battery not living through even one day. The Android Oreo developers have set a goal – to improve performance and make the battery life longer – up to several days without a charge! That’s really a dream come true, right? With that in mind, Android Oreo was developed with a really significant change in the app work logic. Android 8.0 features background processes restrictions. Now, processes become inactive as soon as an app shifts to background work. In background mode, apps will no longer be able to do whatever they want with background services as they did previously, such as detecting their location every three minutes. Apps will be able to run these services only a few times an hour. These restrictions will apply to all apps and will help save battery and operational memory, which in older versions of Android was always packed with unnecessary processes. Android Oreo has some major changes in the design and logic of notifications. The most interesting is probably the notification dot. It looks like a small dot in the corner of an app’s icon and shows the number of notifications. It seems like Android finally decided to get notifications similar to iOS, and it looks pretty nice. Common notifications also look different now, and this is what developers will have to change across their apps. In addition to a new look, developers can now sort their notifications in groups – for example, calls or messages. As a user, you’ll now see how many missed calls and unread messages you’ve received separately. Developers can choose the categories shown. For example, for an email service you might see your work and personal email in different notifications. This promises to make organization effortless. 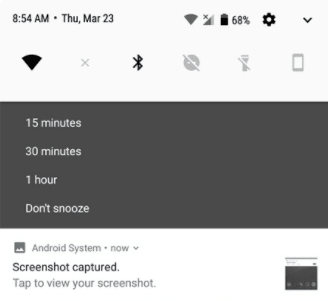 Finally users will be able to snooze individual notifications in new Android OS. By swiping right you can make a notification disappear, and after tapping on the clock you can tell it when to return. 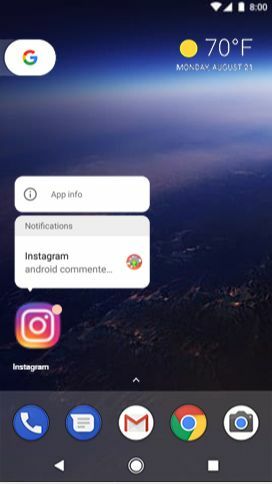 Android 8 version features Notification Cards. 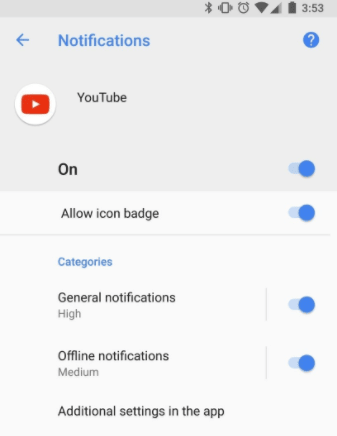 It is a very useful feature in Android Oreo because it promises to hold lots of notifications that just hang there from background services, which we have already mentioned. Notification cards allow you to see what notifications you have left if there are too many on the screen and they can’t all be shown. If you expand or contract the notifications, you’ll make them pop up into full notification cards or shrink to small icons. Persistent notifications will now appear in these notification cards and take up only a small part of display. Multiple notifications from the same application will be grouped together as in Android Nougat. The design of notifications is also a bit different – now the media controls in the notifications shade will change color to go with the album artwork. The lock screen background will reflect album artwork too. This feature will allow users to open certain applications or check notifications with one gesture. For example, you can write the letter “C” with your finger to open a calendar. This feature is available on Pixel and Pixel XL devices. Application developers will be able to use this functionality in their apps if users grant permission. Picture-in-Picture is one of most interesting features of Oreo, and makes it possible to play a small video from Youtube or Skype while using another application. Now, users can watch a video or talk while doing other activities, which is true multitasking. Icons have also changed. Android has finally released special guidelines for developers on creating icons, and there should be several variations of an icon’s design for each application. Developers will have to change their icons according to the new guidelines. Icons can be square, square round, teardrop, or round, and users will then be able to choose. This will let icons look consistent on a screen because all icons will be in the same style. Moreover, developers will be able to change icons without updating the whole app. New dynamic icons look really amazing, and their animations will depend on a user’s actions like swiping or tapping. Android Oreo just looks beautiful. This is really good news for people who are in constant search of Wi-Fi. Now you can turn off your Wi-Fi and not worry about your battery – as soon as you come back to a place where you’ve previously used Wi-Fi, it will turn on automatically. Your phone will use your location information and do everything for you. Rescue Party is a service in Android 8.0 that helps the OS recover automatically if something goes wrong in an app. Rescue Party is triggered if the device tries to restart more that five times in five minutes or if a system app crashes over five times in 30 seconds. With Rescue Party, your phone will boot into recovery mode and ask you to perform a factory reset, but before that it will try to recover itself. This won’t help to solve hardware problems, but malicious or defective apps probably won’t cause so many problems as before. The battery menu has changed not only visually – it now has such parameters as adaptive brightness and battery saver. These settings will allow you to optimize your battery usage. In addition, you’ll get statistics about your battery resources. A good display doesn’t help when you have a bad colour gamut in an application. Android Oreo decided to change that by allowing apps to use a wider gamut. 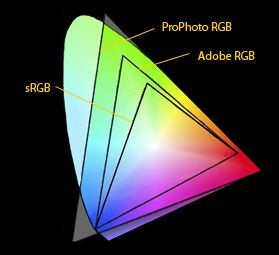 ProPhoto RGB and Adobe Color RGB will now be available for applications. Oreo users will be able to see their pictures as they look on any other screens, and nothing will distort the color scheme. Android Oreo has become even smarter and is able to understand the context of selected text. If you tap on a phone number, it will automatically open the Dialer app. When you tap on a URL address, it will open it in Google Chrome. So depending on the text, Android Oreo will direct you to the right destination and make your user experience better. The new set of emojis features more traditional rounded emojis. Many of them have gradients. Check them out! 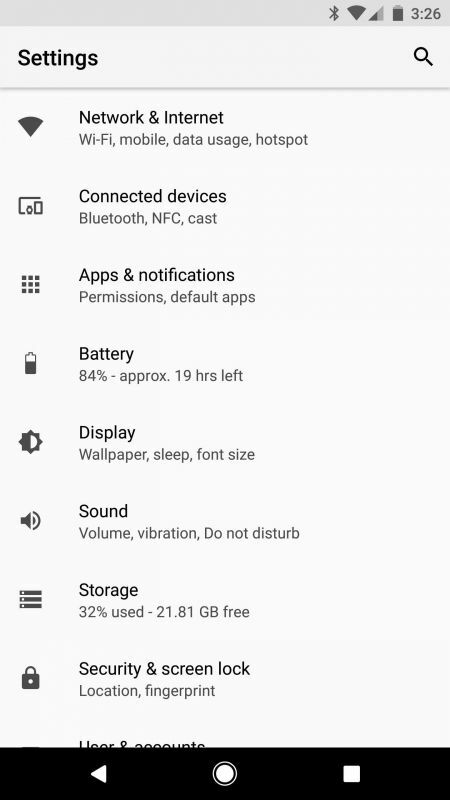 The settings menu looks different in Oreo. Firstly, it’s much shorter – only one and a half pages on Pixel. Android Oreo offers a more logical menu, though it will require more taps to get to certain settings that previously were right there. 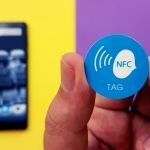 However, that doesn’t seem to be a big problem because such functions as Wi-Fi and Bluetooth are easily found in the notifications shade or in Quick Settings. There’s now a new library, Firebase JobDispatcher. This library was created specifically for older versions of Android (earlier than 5.0). It’s a library for JobScheduler, which was previously available only for Android 5.0, and allows you to schedule background processes and services in your application. Firebase JobDispatcher will provide earlier Android versions with the same functionality. Another support library for fonts came out with the Android Oreo release that will allow you to change the font size in your app on older versions of Android just like you can on new versions. Developers will now be able to just add this library and use it for all versions. In addition, fonts will be available on the device. Previously, developers had to embed fonts in the APK file, but now they can choose a font and select it without the need to actually add it to the app. Fonts are built into the OS and will appear in an app when it’s installed. This is good for both developers and users because APK files will be smaller. When you tap on a text – for example, an email address – Smart Detect will understand that it’s an email address and will highlight only that part of the text. Then it will open an app that best suits it contextually: for example, an email app. Autofilling is another framework that Google included in the Android Oreo release. Low audio quality when listening to music through wireless headphones has always been a problem in mobile devices. Google has reacted to all the criticism and has released a bunch of high-quality Bluetooth codecs in Android 8.0. Hopefully they’ll improve audio quality and we’ll be able to enjoy compatible Bluetooth devices. There are many new features in Android 8.0 that make the user experience even better. For example, autofilling. 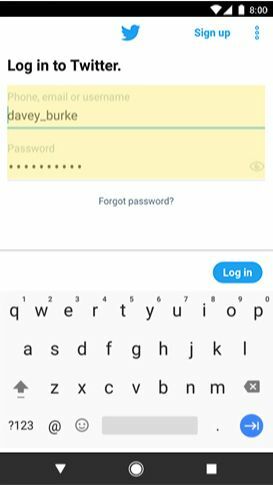 Android wants it to work similarly to Google Chrome, where autofill fills in frequently used info like email addresses into forms. The JobScheduler API was first introduced in Android 5.0 and worked as a traffic controller for background processes. 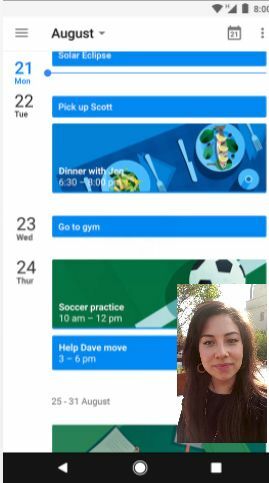 Apps would request permission to do background tasks from the JobScheduler, which would manage and coordinate their activities. To save battery power, JobScheduler delayed background work that wasn’t very important, and to save RAM it ran only one process at a time. In Android 6.0, JobScheduler could put a phone into deep sleep to save power. JobScheduler was an optional thing, but for Android 8.0 it’s a more principle issue. Now it’s mandatory and apps can no longer ignore its power over their background processes. 1. How hard is it to adapt old applications? It’s not very hard, especially for simple applications. But still there are some changes, and we’re currently working on them. The Android team prepared a table in their documentation that shows what developers will have to change, no matter which target SDK is set in their app. Now, every owner of an app has to make those changes; otherwise, their application will crash. The main changes for all apps is the foreground and background work logic. We’ll have to modify all apps for this service. During Google I/O, Google presented libraries for migration between Android versions. The drawback is that you have to know SQL to work with these databases. Common libraries don’t require that. And now it’s a bit easier to adapt applications because Android has shown how they see the architecture of the application. It will be easier for developers to adapt apps for Android because we have a kind of cliche to follow. 2. Is the development process faster now? No, I don’t think so. On the contrary, I think it has become even more complicated. If we set Android Oreo as our target SDK, we’ll have to change our “start service” command. The “start foreground service” is a new method, and we have no idea yet if there’s any backward compatibility with older versions. Usually, all we’ve had to do was use a current SDK, but now for earlier versions we’ll have to change it through conditions (if; then). I agree that it hasn’t become faster. Maybe new libraries will help, but there are now many difficulties, especially for developers. Services are now difficult to work with because you have to bear in mind the background and foreground working logic. If your app needs to constantly locate the user or have access to the camera now, the developer will need to look for solutions. There’s also a problem with runtime permissions. Developers need to keep in mind that APIs up to 23 work without runtime permissions, and beginning from 23 work with them. Version 26 features other kinds of notifications and new services, and all of this has to be taken into consideration. 3. How much time did it take you to get familiar with Android Oreo? I spent probably a couple of hours just to pick out key moments and see what I needed to rethink in an app I’m working on now. One hour I spent just creating a ticket for what I have to do now. I also spent a few hours getting familiar with all the new features. It didn’t take much time for me. I spent an hour watching a presentation and then read some useful articles for a few hours. 4. What bugs can pop up when launching apps? Any incompatibility can result in some bugs or crashes. Developers should check the table I mentioned and make sure their versions are compatible with the new one. There can be problems with location in fitness apps, for example. Also, I heard about a bug with the alarm clock – it can simply stop working if it accidentally appears in the background. The network will work through libraries, and developers will have to check them and update their apps with new libraries. All applications use interface collections, and this is another thing that needs attention. If the collections are not compatible, the app will crash. Basically, any incompatibility of architecture will be a problem. Many new technologies have appeared, and it’s impossible to take into account everything at once. 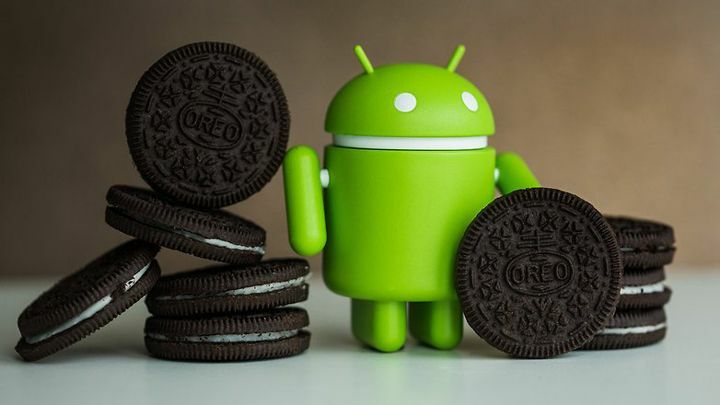 Developers will just have to gain some experience with the new Android Oreo, and the more experience they get, the fewer bugs will appear during the development process. 5. What are your personal impressions of Android Oreo? At first I didn’t like it so much, but that’s probably just because I have to do so much work now. Actually, I like it a lot. Especially how Android is trying to solve problems with battery use. This idea of process restriction is good, but there are some problems with it. On the one hand, it really saves the battery. In older versions of Android, some apps you didn’t use could detect your location every five minutes, but now they can’t. It’s a good thing. The bad thing, though, is that some apps need their processes to always be active. For example, fitness apps. They need that location info to keep you on track. 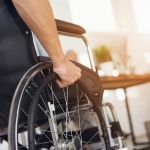 Now developers will have to deal with this new feature – either warn users to make sure the app is in the foreground or look for some other ways to keep its processes running. Users can now see all active processes in the notifications. I don’t like very much how they are now always hanging there. There are too many of them, though it is good to keep the user informed. The new features are also very interesting. Everything is done to make the user experience better. I like it too. It’s made for users, and Google is going toward high performance. It tries to avoid lags, freezes, and fast battery discharge. I think it’s very cool, and I also like the new design. There are some problems I’ve mentioned, like too many notifications, but I probably just have to get used to it. For developers, Android Oreo is a bit more complicated, but with all the new libraries we have more possibilities to make our products better for different users. This year we witnessed lots of innovations, and Android Oreo managed to impress the public with so many new features as well as changes in design and work logic. Android is moving towards better efficiency, higher speed, and more possibilities for both developers and users. 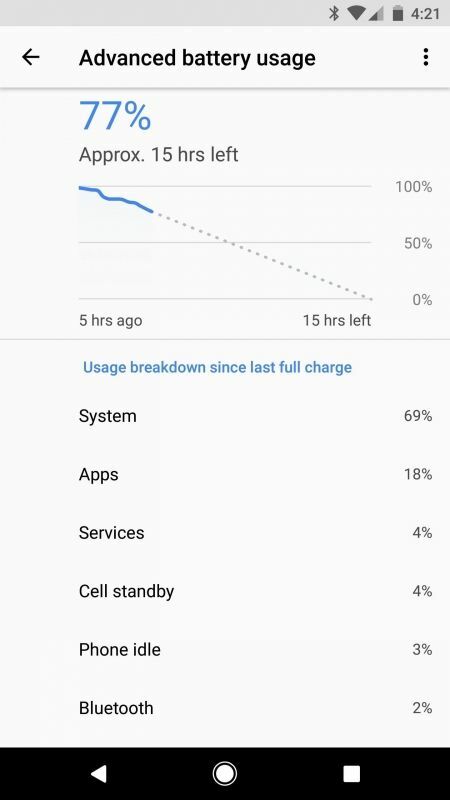 In our opinion, its work with background services is one of the best Android 8 features the biggest achievement in the OS, as it’s going to solve the long-time problem with battery discharge. Other features like autofilling and adaptive icons are amazing as well, and many of the details that were first introduced in Android Nougat are finally done right.